Received a very cool surprise in the mail from friend and British artist Paul Ayers – a beautiful five color limited edition print from his current “Bristol Post” series. The prints are all based upon soviet stamps from the 1960′s and represent a tongue in cheek imagining of an independent republic of Bristol (also home to well known British street artist Banksy). Paul has set the bar high with these meticulous reconstructions. His screen positives are created on clear film using permanent black pens, drawing inks, and Chinagraph pencils. It’s an honor to have such a beautiful piece and a wonderful reminder of my brief time living and working in the UK. 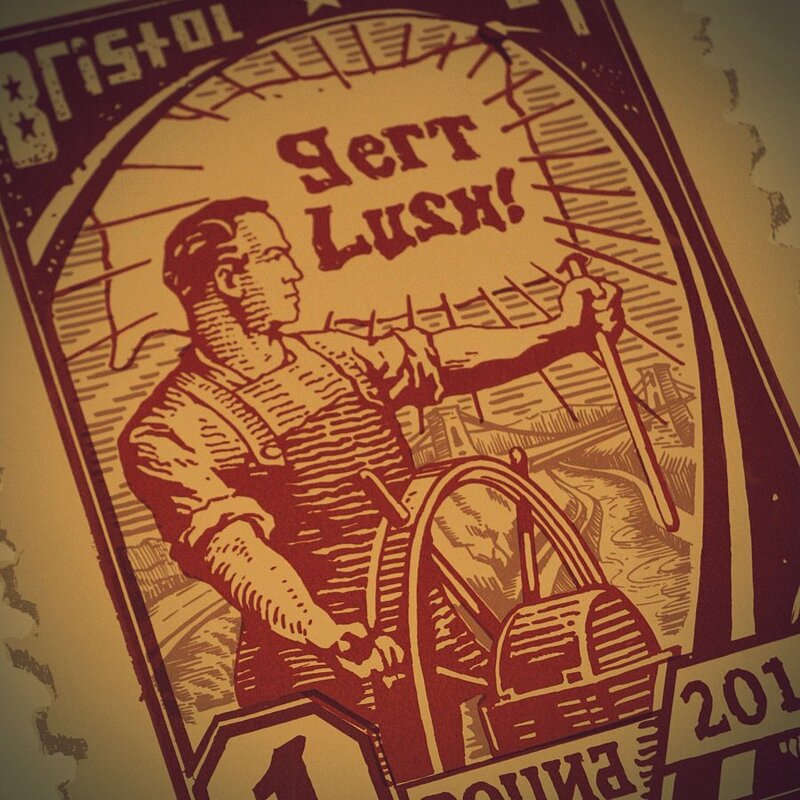 By the way, “Gert Lush” is Bristle (Bristol’s dialect) for “Really Great”. Gert Lush Paul, Gert Lush!